With a diverse range of processed meat casings, Kalle Group offers comprehensive product solutions for the meat-processing industry and butchers. As well as the proven products made from cellulose, plastic and textiles, which are available in a large selection of colours, forms and diameters and are therefore suitable for almost any application, Kalle Group is exhibiting numerous innovations at this year‘s IFFA. Kalle is presenting the new processed meat casings NaloProSpice, NaloBar PR, NaloFerm and NaloEco as well NaloCoat, a new collagen gel for innovative sausage production. The efficient production of sausages requires new processes. With NaloCoat, Kalle supplies the high-performance collagen gel necessary for the highly productive co-extrusion process, which, as a casing, gives the desired consistency and the correct bite to the sausage. The two-step process for the manufacture of the collagen gel, newly developed by Kalle, therefore forms the basis in meeting the specific requirements of the production process and sausage products worldwide. The extensive polymer casing range, featuring NaloBar, NaloShape, NaloForm, NaloSmart, NaloSafe, NaloGrip, Multibar and NaloSlim, offers product solutions for a wide range of requirements. With NaloBar PR, Kalle has now developed an even more stable polymer casing. This innovative casing for cooked and scalded processed meat products enables reliable temperature control during the cooking process and above all guarantees a clean cut and very easy peeling. With the Value Adding Casings NaloColor, NaloSmoke, NaloProtex, NaloPro and NaloSpice, Kalle Group supplies products which transfer smoke, colours, flavours and spices. NaloProSpice is an important innovation in the cooked ham sector. NaloProSpice is the first seamless barrier casing which can also transfer coarse herbs and spices and is available in a shirred form. 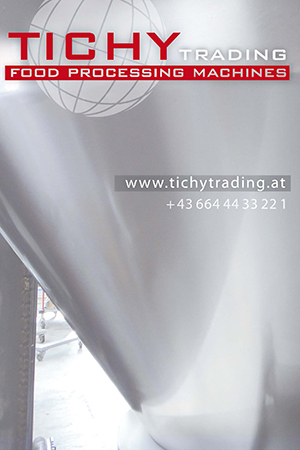 This means it enables continuous filling and therefore shortens the previously labour-intensive production process. The CasingNet, UltraPro, SpicePro and FlavorPro products from US subsidiary Jif-Pak are new to Kalle Group‘s range. CasingNet casings are textile knits with an integrated net structure that also have a transfer function as SpicePro and FlavorPro. They give ham and poultry products a unique and natural appearance. In the segment of dry processed meat applications, besides the proven fibrous casings NaloFaser, NaloLine, NaloNet and NaloFashion, Kalle offers with NaloFerm a polymer casing which is highly permeable to smoke and water vapour and so ensures optimum drying. With NaloEco, a sustainable polymer casing is joining the existing range of sustainable products. The polyethylene or polyester content, previously obtained from crude oil, is replaced by granules produced from renewable raw material sources. The plants needed for this originate from the conventional plant-based food production chain and are not in competition with vital foodstuffs. On the part of the exhibition stand which is especially designed for the trade, Kalle Group displays over 60 different types of casings for both regional and traditional processed meat and meat products. They are an alternative for applications where animal based casings were previously used. Copyright © 2019 MSP Magazine. All Rights Reserved.